Creating a religion guide part 1: In the beginning. Religions are part of our world and they're part of a huge amount of fictional worlds. They're a great way to add uniqueness and to make a world seem more authentic, but do note that not every fictional world needs religion to make it an authentic one. Creating a whole new religion for your story is a huge task, depending on how detailed you want to get. Religions in our world have an enormous amount of aspects to them, ranging from its origins to the way it's followed today. 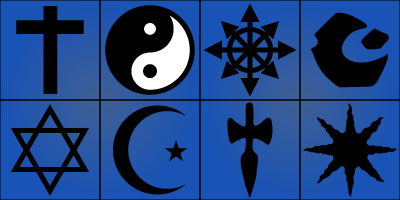 In this guide I will cover the main parts of most religions, parts you might wish to use for your own stories. Since there's so much to cover I've split up the guide into 3 parts. In this first part we'll start with setting up the foundations of our religion. Like everything it's best to start at the beginning and work in small chunks until the end. In doing so we turn a seemingly enormous task into manageable small pieces. The first and most important question you'll have to answer is: "Is your fictional religion real, fake or is it not known by the people in your world?". The answer to this will heavily affect all other aspects of that religion. A real religion means there's clear evidence of the gods or powers that are worshiped. Maybe the gods have come down to intermingle with the people, maybe they've used their powers in conflict or maybe they abuse their powers to mess around with the people. A fake religion is one created by a group of people or a single person within your world. The reasons this person or these people have for creating a religion can be almost anything, maybe it's for power, maybe it's for the money or maybe just it's for the attention. But the point is that the religion is fake, there are no gods who can change the world, there are no miracles or other powers, there are only followers who may or may not be gullible. A religion doesn't have to be known to be real or fake. A religion could have plenty of followers who truly believe there is a higher power, but unless you specifically tell the reader there is or isn't a higher power it'll be impossible to tell. There are no gods who come down to interfere with the lives of the people, there are no true miracles, there are no people who have special powers bestowed upon them by the gods, there's only faith. A little inspiration is always welcome, fortunately there are plenty of religions in the world today, throughout history and in our fictional works. While we haven't even begun to really cover all aspects of creating a religion yet, searching around for a little inspiration in the early stages never hurts. You'll probably gain a whole bunch of ideas which you can then apply to the aspects we'll cover in this guide. At the same time this step also helps to make sure the religion you create is original, if that's what you want or if it's accurately based on a religion you like. Another huge part of religion is how many gods there are. There could be just one, a handful or hundreds, or there could be none at all. A religion doesn't need to have a god or higher power for it to be a religion, a real life example of this is Buddhism. Without a higher power a religion becomes a potentially strict way of life in the search of enlightenment or truth. There can be supernatural elements, but there doesn't need to be. When your religion does have one or more gods there will be more aspects to cover. Did the gods create the people? Do they have any real power or control? Do they like each other? Are they kind to the people or are they vicious? Do they even care? There's a whole lot of questions you may wish to answer in order to create a god or multiple gods which work with your religion, but in terms of writing a story the main question will be 'what is their purpose within my story?'. Their purpose in your story will define who they are. If the gods in your story are real you likely already have plans with them. Maybe there's a huge conflict, maybe they allow the people to use special powers or maybe they're just there for divine intervention. If your gods aren't real or if it's not known whether they are not, they will generally serve a different purpose. They might bring people hope, they might be used to explain the world, maybe they give people something to live and/or die for. Creating gods and deciding how many there are, what their relationships are and all the other details that come with it is probably one of the hardest parts of creating a religion. It's a huge part of religion and there are so many ways you can go with it, far too many to cover in a guide. But if you ever need help or if you just need to bounce around ideas, feel free to send me a message using the contact page and I'll do my best to help. Gods don't have to be the only higher power, many religions also have (arch)angels and/or demons. Other divine beings include (ancient) protectors of the earth, divine animals (like mounts) and, well, pretty much anything you wish to have divine powers, whether created by a god or part of the godly realm itself. They could simply be creatures part of stories and myths, but they could also be real creatures with an actual impact on your world. Obviously this'll depend on your wishes and desires for your world, but it's worth taking this into consideration. If anything it could at least help you flesh out the history of your religion through (mythological) stories and events. If your religion has a god or more, powers will likely be involved. But powers aren't strictly something for the gods alone, their followers could have powers too. Perhaps the gods have given all their followers powers or maybe only the most devote receive this blessed gift, either way, there's a whole lot of ways powers can be used in terms of story. Powers can be used to heal or kill, powers could be scaled to how devoted the wielder is, powers could be used to vanquish evil or they could be corrupted by evil. Powers create conflict, whether or not you wish to create conflict through godly powers is up to you, but it's a good idea to think about whether or not you want there to be powers and how those powers work, especially in the early stages, mainly to avoid big plot holes. If your religion doesn't have an answer to whether it's fake or real, but you do wish to use some form of powers without giving away the answer, make sure the powers you use can easily be seen as something else. For example, somebody who heals somebody else using divine powers could also be seen as a staged act or as a coincidence. Maybe the healed person was already feeling better and the healer simply made him realize that without actually healing him. As long as you can make the people doubt the authenticity of the powers you won't have to answer if your religion is real or not. An origin story is a great way to flesh out your religion, but it's not necessary for all of them. If you have a real religion with a god or multiple gods, an origin story isn't really needed all that much. It will generally lead to an infinite loop of 'what was there before it?'. Even if your gods were created by even more powerful beings the question will remain. Having said that, it's still a good idea to have some form of history. 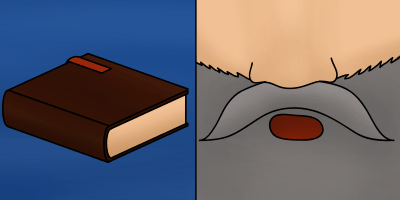 It could be in the form of a book, like the various Bibles of today, but it could also be in the form of stories, passed down from generation to generation or a different method entirely. The stories could be about a whole range of different things, like the teachings of the gods, written down to be shared with all future generations or about the battles between good and evil and how the gods conquered evil with their might. Obviously there's a whole lot of ways you can go in terms of adding backstory. It can be a task as big as creating the history of your story universe, but don't make it bigger than it needs to be for your story, unless you really want to I guess.